Great choice! If you've come to Casumo via their clumsy online site, you'll love the mobile client. Pared-down, easy to use, and focusing on great games and promotions. Casumo Casino is one of a new breed of mobile casinos that puts slick design and ‘social experience’ at the head of the ‘most valued values’ list. Easy to navigate Casumo is bright and cheery and definitely chilled out. 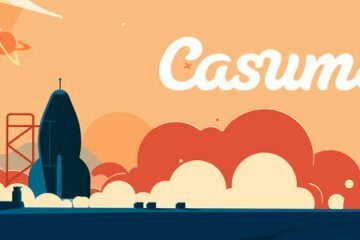 However, with licenses from the UK and Malta, plus the best mobile games from the NetEnt and Microgaming stables, it doesn’t take its gaming lightly as mentioned in the full Casumo casino review below. ‘No-nonsense’ seems to be Casumo’s mantra, and the site seems to have been designed for the least amount of pain possible. The lobby is easy to navigate, and many of the games are available for free (although we routinely got booted out of our Android browser while attempting to load some games). The Cashier, Support and FAQ buttons are easy to find, and the games have a huge amount of information, despite the fact you’ll be scrolling for hours on your smartphone. Wagering requirements, as with many NetEnt-powered casinos, are skewed towards the slots players. 100 percent of NetEnt slots are eligible in the bonus, while table games contribute precisely zilch. All deposit bonus amounts must be wagered 25 times, and winnings from free spins must be wagered 30 times. The minimum deposit amount on the site is £10. Like all new casinos obsessed with all things ‘social’, Casumo proudly boasts about its ‘Casino Adventure’. This allows players to earn ‘valuables’ when playing, like trophies and new planets which help them along their ‘adventure’. You’ll notice various Trophies attributed to each game on the loading page. Other weekly and monthly bonuses are emailed to customers as they become available. The big highlight of the year is the semi-regular ‘Casumo Challenge’. This is usually a leaderboard race on a selected game where the top points earners can win a cruise or luxury holiday. As with the ‘Casino Adventure’, the focus is on achieving ‘missions’ (Total Spins, Total Wins in a Row, Total Big Wins, etc) as you fight for bragging rights against your fellow players. Casumo is one of the leading Flash-powered mobile casinos which works directly through your browser. Make sure your Google Chrome is up to date or you’ll find – like us – that the site lags massively. 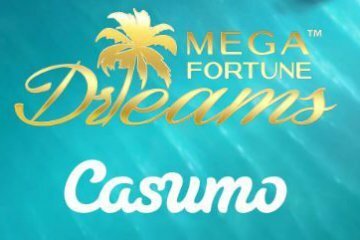 Casumo Casino boasts dozens of NetEnt and Microgaming-powered slots, accessed via your web browser. Classic IGT slots like Siberian Storm and hit WMS titles like Bruce Lee also fill out the options. The lobby on our small Android smartphone was simple to use and games loaded quickly. Play-money games run alongside many of the titles on the site. Casumo Casino is licensed by Malta AND the UK Gambling Commission, so you can be sure of totally safe gaming and independently-tested software. There’s a small but perfectly-formed range of deposit options open to Casumo customers. You can use VISA and MasterCard for card payments, but beware the 2.5% charge on all card transactions. Leading e-Wallets like Skrill and NETELLER can also be used. Luckily, there are no withdrawal fees when cashing out. As befitting a cheery site, helpful and friendly support is offered via email. The live chat service was equally helpful and the team were able to answer all of our questions effectively. 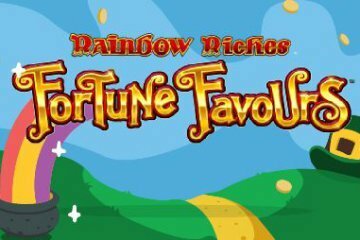 For slots nuts looking for a great experience and loads of games to play instantly, you can do far worse than give Casumo Casino a try.